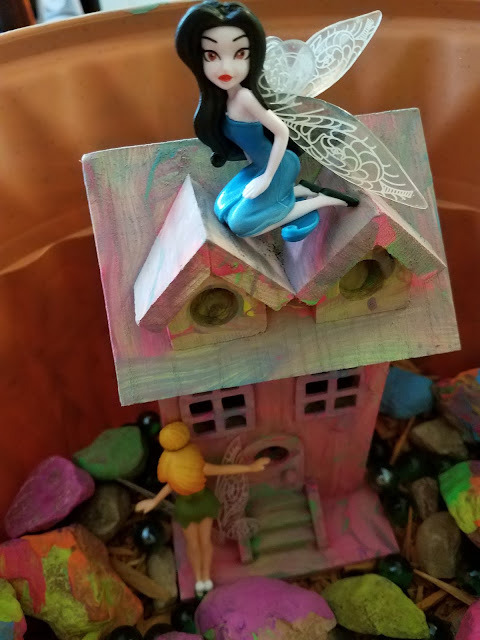 The kids wanted to make a Fairy Garden this summer. I had the big kids research what fairy gardens they liked on Pinterest and then created our own based on what they liked. First and foremost, the garden had to be appropriate for kids of all ages to play with. 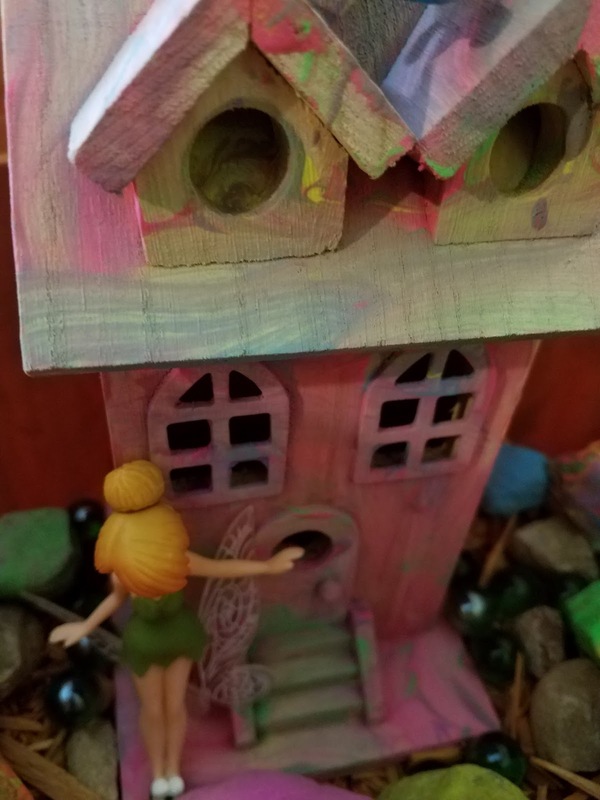 Secondly, the kids wanted something that they mostly made, which meant no pre-made fairy houses and such. Easily done! 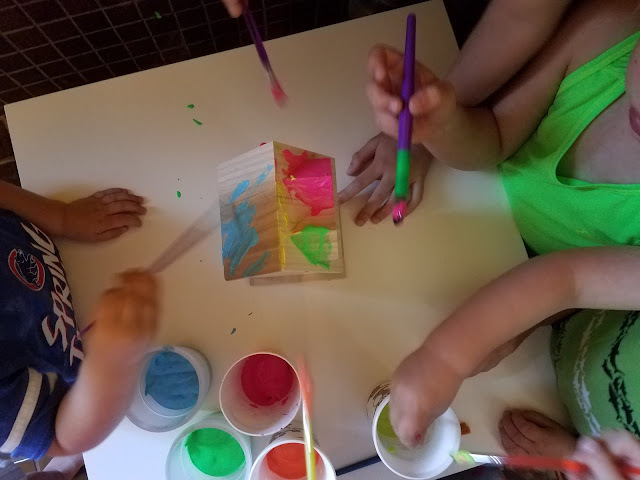 First the kids painted the wooden house and the pot. Yes we used washable paints. We decided early on that this would be an indoor fairy garden, so using weather resistant paints and materials didn't matter. While the house and pot dried, the kids washed the rocks, dried them, and then every child painted at least one rock (most painted two or three). Rock washing. 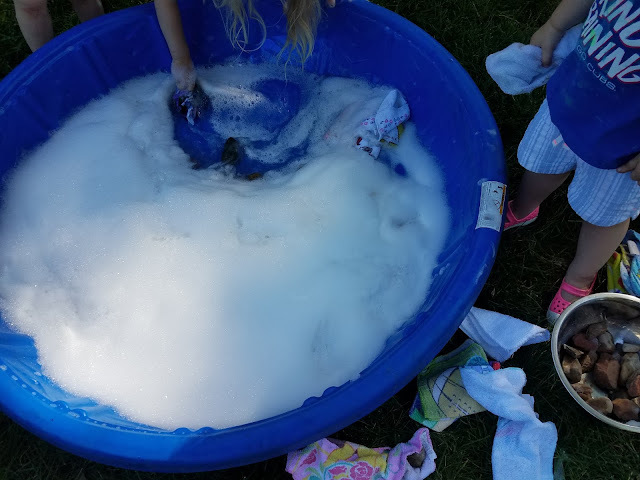 The kids turned this into an all day event. After everything dried (it took a couple of days), we set up our fairy garden/pot. You'll notice how we didn't build everything up to the very top of the pot. We chose to have it set down a bit so things wouldn't get spilled out of it. 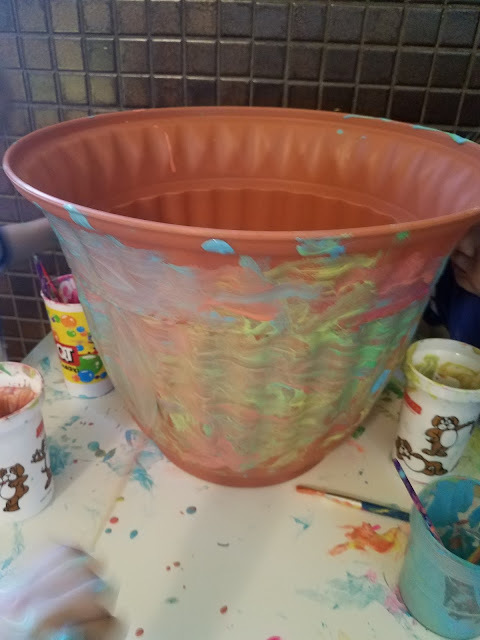 This saved me a few times from a huge mess when little hands decided to dig through the pot! 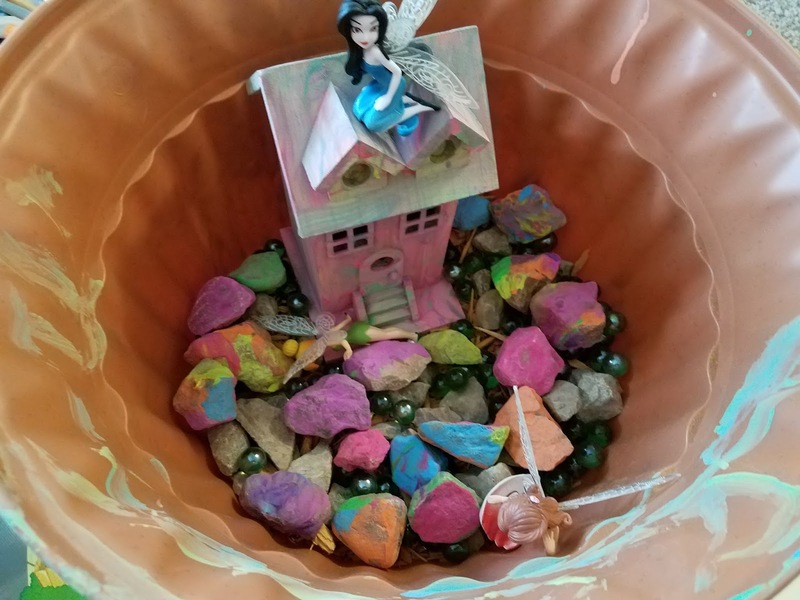 We started with dirt/soil at the bottom, then added marbles, rocks, a little bit of mulch (from the garden), more rocks, and finally the house and fairies. We made this one of the first days of summer vacation and we still have everything (minus a few broken fairy wings that were pulled off)! It doesn't look like much, but it's one of the first projects I had the big kids (the kids ages 5-9) design and take over. Did I mention it lasted and was played with ALL SUMMER LONG??? Success!